If you can handle minor spoilers, a taste of BioShock Infinite is waiting for you. 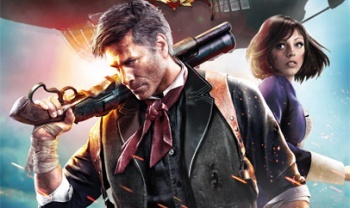 If you just can't stand the thought of waiting until late March of 2013 to embark on BioShock Infinite's epic adventure, developer Irrational Games wants to offer you a glimpse at what you can look forward to. The company has just posted the first few minutes of BioShock Infinite online for all to see, but fair warning: Even seeing this opening scene could spoil a bit of the game's mystique. If you're not worried about spoilers, the short clip should offer a good bit of nostalgia to BioShock veterans, and should be plenty to keep fans of the series drooling in anticipation of the full product. You can read more about BioShock Infinite in our hands-on preview where we spent a solid few hours taking in everything the floating city of Columbia had to offer. We also interviewed writer Drew Holmes about both Infinite and the BioShock series as a whole.